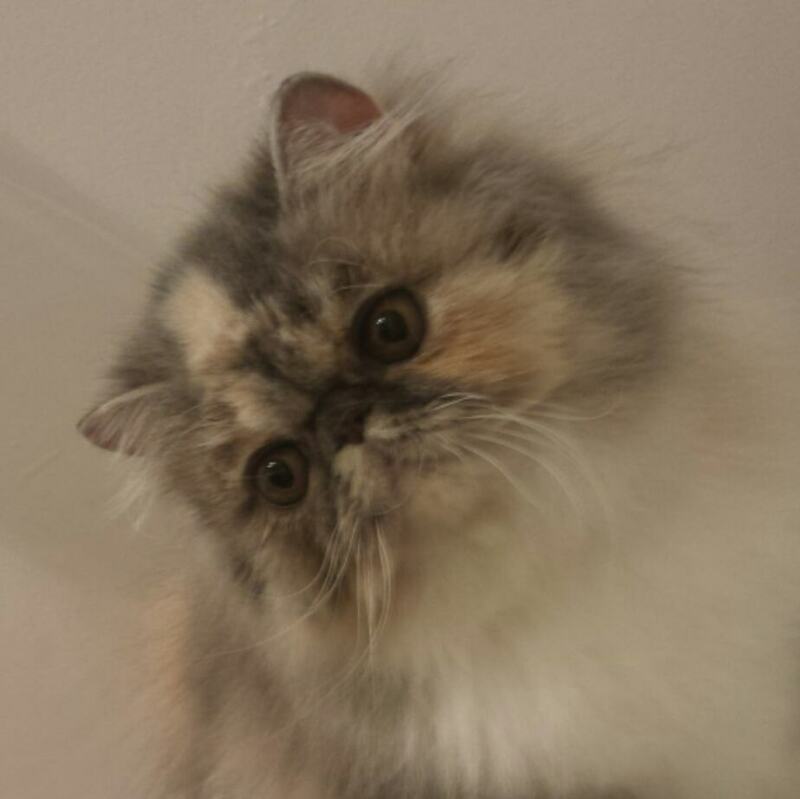 We have available to a nice pet home, a 9 month old Persian female kitten. She is a dilute calico. Her parents are CFA registered, dad is a grand champion/regional winner. This girl will make someone a fantastic lap/bed buddy. She gets along well with other cats and small dogs and is not an “alpha”. 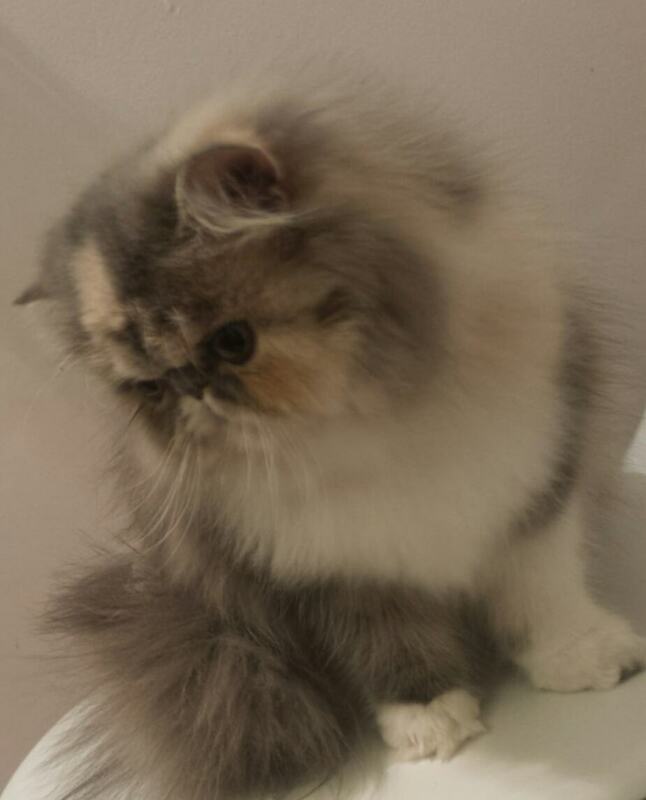 She has a beautiful, easy to care for, full coat, thick and plush – although, we prefer a home where the owner is experienced with Persians and their grooming needs. 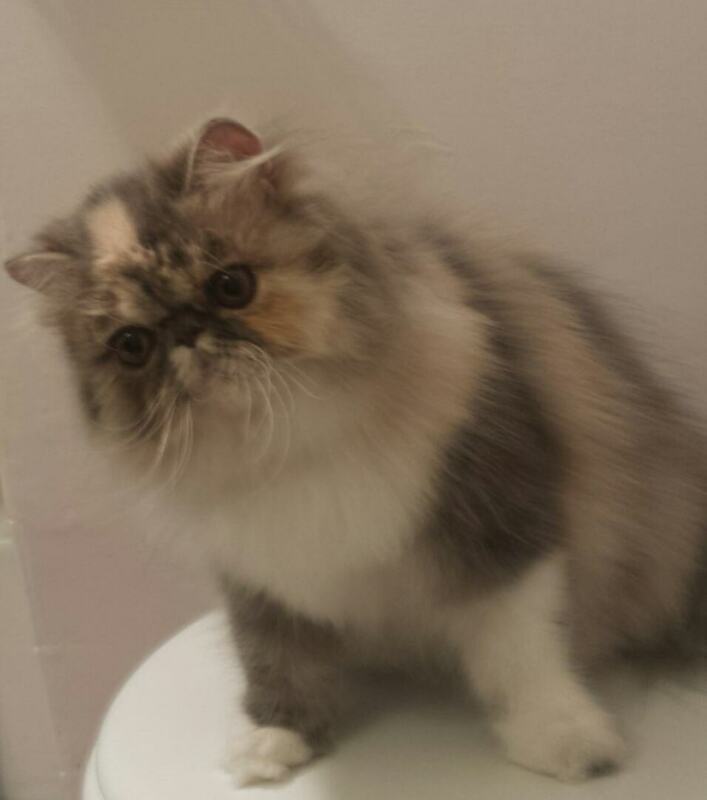 This girl is very well behaved- no litterbox problems. If you think you may be interested in giving her a fur-ever home please don’t hesitate to contact us via email [email protected]. March 22, 2015 – Brew finished his kitten show career at the Boise, Idaho show. 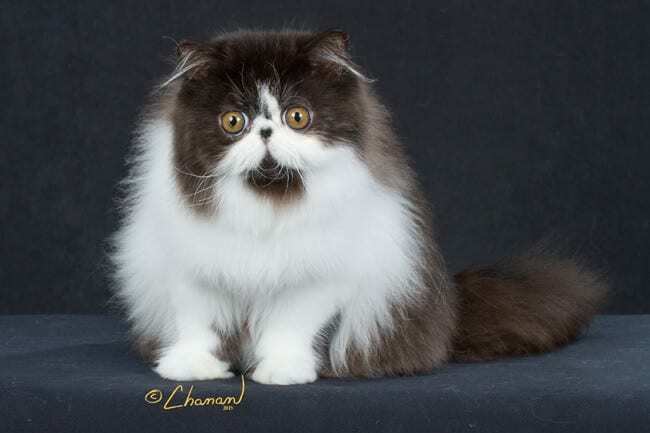 He is currently ranked in the top 25 kittens in the Southwest Region. Now, on to achieving this guy’s grand championship title!